Keep this ribbon token close to your heart and always be reminded of your hope and strength to never give up. 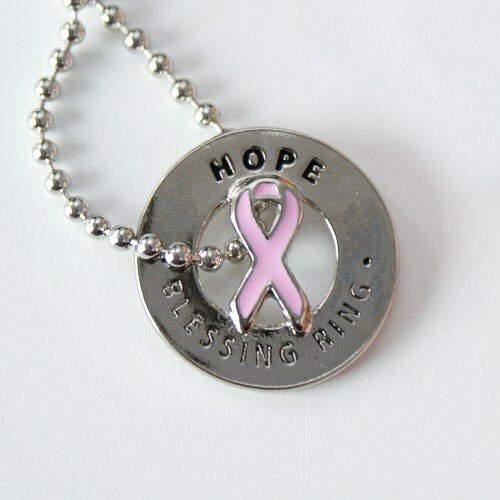 This pewter pink ribbon token gives inspiration and makes an thoughtful gift idea. Choose to keep this token safe in your pocket or hang it from our optional tear drop key ring or 18” ball chain necklace. This quarter size token is just simply perfect as it’s individually hand-crafted in recycled, lead-free pewter, the center outlines a symbol to reflect the sentiment. Made in the U.S.A.